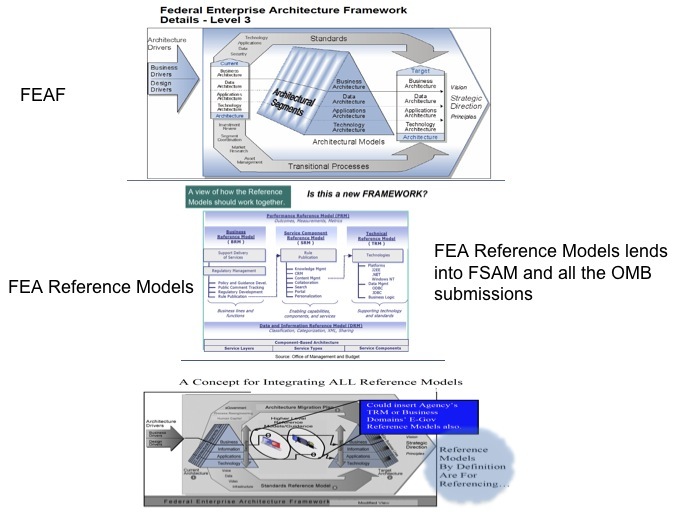 Emphasis seems to have moved towards Outcomes / Performance achieved as a consequence of an integrative approach- EA – CPIC – PMO, rather than mere architecture work-products (artifacts). 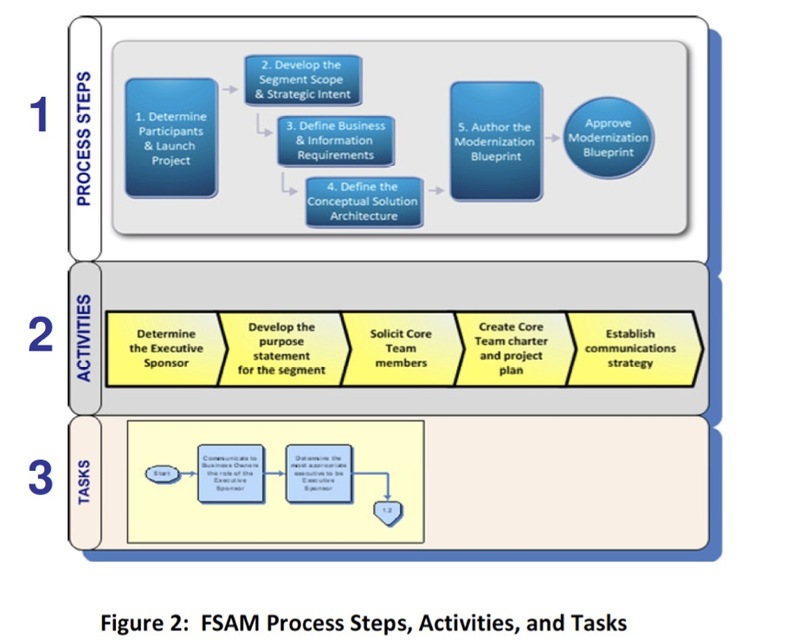 Most importantly the revised FASM seems to arrest the OMB submissions by the agencies that masquerades in meeting the compliance while the enterprise architecture integrity still remains grievously in the lacking. Unless agencies strives in working as a collaborative unit while relying on a coherent governance that is built around sound integration of EA, CPIC & PMO no clear picture can ever be achieved. 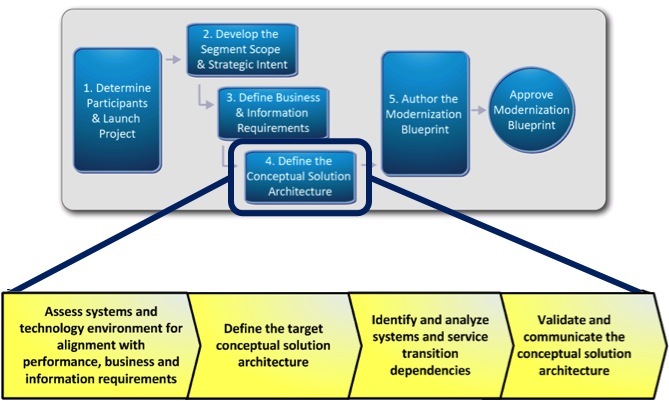 Especially, all the efforts in determining the ‘Total Cost Of Ownership’ for the prioritized businesses needing IT enablement will end in inevitable futility. OMB in the proposed revision will be monitoring the EA assessment submissions more frequently. Earlier only one submission a year was needed, now it will be necessary to submit 4 times a year. What does this mean? more paper work (defeats the very purpose of eGov 🙂 ). 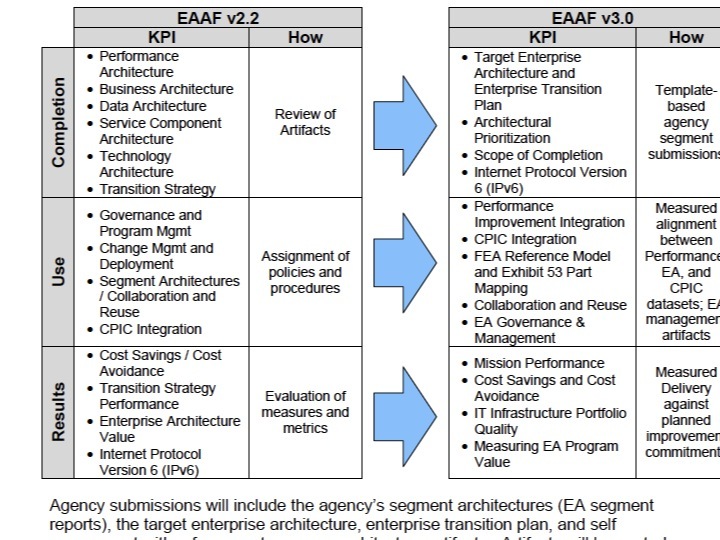 Should EA repository achieve architectural integrity, reflect accurately the state of the project and change management is efficiently maintained, then frequent submission will no more be a challenge . If inherently EA is in the lacking, then all efforts including the increased frequency in conducting EA assessment will fail in arresting the the inherent atrophy. When one begins to designs in quality, then testing and assessment will prove to be redundant functions.